The Ghassemi and Ward families are literally an ocean apart, yet close in heart and spirit. In times of great change for each respective country, the two families part ways and reunite again even though their worlds are still shattered. Yet, they embrace, remember, and cherish the moments. This is the true story of a family’s quest to find what they had and lost only to begin a new journey: to find love and human dignity in a world where at times it seems as though compassion is an antiquated virtue. And yet there are those of us, like the late John Paul II and the millions of people who attended his funeral, who have not given up on the good will of people and humanity. I had the pleasure of meeting Searching for Hassan author Terence Ward while he was in Washington, DC being honored at a gala function in March 2005/ Norouz 1384, where Americans and Iranians were awarded for their achievements and contribution to the lives of both nations. I put forth the following questions to him. As usual, he replied with a passion that is distinct with this writer. As a small American child growing up in Iran behind the walls of a Tehran residence he was mentored by their cook, Hassan, who taught him everything from poetry to cooking, from Rumi and Hafez to Sabzi khordan and the art of drinking tea. It seemed like ages ago when fateful events separated them. Yesterday was far in the past but today brought those joyful memories back and created many new ones. They say miracles happen when you least expect them. The meeting of Ghassemis and Wards was one of these miracles. We had been given a gift as young children, by Hassan Ghasemi, our cook and master storyteller in the extraordinary country of Iran. My three brothers and I wept when we said our goodbyes to him on our last day in 1969. After a long separation of almost 30 years, many questions haunted us: the chaos of the Revolution, the brutal Iraq War. So, our journey back to find Hassan, who had injected so much love into our lives, was a complete miracle for us all. Searching for Hassan is an attempt to repay, maybe that’s not the right word, I am trying to honor the gift that we have been given. My wife and I are writers. We do not seek stories, they find us. And yes, this is a positive story, a story of reaching across the divide, of going far beyond politics and negativity on both sides and listening instead to the heart. It is simply saying that it is possible for people to connect. And when our families were re-united I knew something very powerful was happening. What the Ghasemi family gave us was so precious, that our reunion turned out to be one of the most magical moments of our lives. After 30 years, all of this separation, all of these haunted memories, all these broken circles were healed and mended, and these two families came together as one. All of us realized that this is the wave of the future. We all know that this will inevitably take place with our countries. It is inevitable. The question is when? In honoring our re-connection, I was also very aware how little Americans know about Iran. I know that United States of Amnesia has almost no memory and the last 25 years has colored everyone&apos;s mind with only one image of Iran. I also knew that there was a larger mission–to share a different portrait with American readers which reached far beyond only the last 25 years. I wanted to bring into focus Iran&apos;s rich civilization and culture, to share 2,500 years of history and to show the connective tissue between Iran and the West. Ultimately, I hoped to help Americans see beyond the one-dimensional media portrayal that never focuses on the common humanity, that never listens to the human heart that one hears over there in the many people like Hassan. In your book you mentioned that your mother was the force behind your decision to go back to Iran after such a long time and you mentioned that she, unfortunately passed away a year ago; tell us in detail what made her decide to go on this journey? I think all of us know that mothers tend to see the world differently than rational Aristotelian boys and those who follow science and facts. She knew in her heart that she would find them. She had been the most wounded by losing all contact with the Ghasemi family, by worrying about them during the war. Where they alive or dead? This was something that truly haunted her. As an eternal optimist, she was somebody who went through life with a vision that was completely non-judgmental and color blind. So when she knew there was a possibility that a visa for Iran was possible, her decision was made quickly. As soon as her husband and four boys heard she was going, she knew they would follow. She was a strong woman, wasn’t she? Yes, my mother, Donna, was a very strong woman, a powerful woman always. And she was a woman who worked with her intuition, who knew she was right. We had no address, no phone number, no contact number at all, in a country with over 2 million Hassans. But she would say, “Ah, we do have a black and white photo taken from 1963!” Her sons were full of doubts, but she would assure us, “I am sure we can find them.” In the end she reminded us of the truth, “Love knows no geography and knows no boundaries.” This truth is what we need today. Everyone who goes to Iran remarks on the strength of Iranian women and this young generation. Of course, it is just a question of time, because the future will soon be in their hands. Everybody wants it to happen, sooner rather than later. And despite all the pressures on the women, there is no doubt in anyone’s mind–once you go to Iran–how powerful they are in so many ways. In my mother, I saw her mirroring the strength of Iranian women who, like Fatimah, made so many tremendous sacrifices. But what is so beautiful was that when our families met, we met as equals. And we were welcomed into their home with such incredible Taarof, such heart-warming hospitality and generosity. In the end, this was the final journey that my mother took before she passed away. Perhaps she and my father both knew that this would be their last great journey with our family together; that soon they would be leaving their four boys behind. So, this was much more than just a three week trip; this was a timeless voyage into the past, into the future. What was the most valuable encounter or the best moment for you in this trip? If you imagine staring into the faces of people you hadn’t seen for 30 years and they look at you with the same spark in their eyes and your mouths are open completely wide with joy and you realize that the most impossible miracle has happened and that you are together again, and against all odds somehow you found each other, there is nothing better. What is your feeling about what is happening today? What do you say about all this talk, possible strikes and then the other side of the equation? Today’s hard-line politicians in America and Iran embrace the politics of fear, and also speak the same language. And, of course, they both need enemies. Black needs white. So, they threaten each other, feed off each other, and use each other to remain in power. In the end, they are mirrors of each other. We live in a rare moment, when the people of both countries are so united in their mutual detachment from their politicians that perhaps now we share more with each other than ever before. Yes, everyone is afraid is that there will be some sort of air strike. I think that such an action will give the ruling hardliners in Tehran the biggest boost that they have had in a long while. And I think it would be a grave mistake. Based upon how little the Pentagon knows to plan and to organize and to carry out actions, it’s clear that whatever is done would be full of mistakes like we have seen in Iraq. You said there is an alternative that may work. What is that? Well, what would really shock everybody is that if the US government actually recognized Iran and the Iranian people–like Joe Klein advised in TIME magazine– saying we accept you, unilaterally, and leave it at that, no pre-conditions. For too long, Iran has been kept outside the community of nations. If this was offered, immediately there would be such a sholough (chaotic atmosphere) in Tehran as people began discussing–do we agree or not, do we accept or not? And this would create such a healthy debate inside the country. The vast majority would probably say, Thank God, we can get visas, travel to see relatives, attract investments, do trade and business, go abroad for education; while the other side who are trying to keep to this politics of fear would say no. There would be a great divide over the next step, and this would be positive. Unfortunately, our politicians do not have the vision to do something like that. Another possibility for change may occur if Iran reaches the World Cup quarterfinals. Many feel this would create such an instant outburst of joy and public manifestations, that the streets would be filled with millions of celebrating kids, which could even create a Ukraine situation. I think there is a point that we are missing, that you are sort of underestimating the present Iranian regime. For 26 years they have said no to the “Great Satan” and have put people on guard. They will not budge that easily. Do you think it would be so simple? Well, they don’t have to budge, and, of course, nothing is simple. What this recognition would do is to thrust the debate in Iran over this question and many reformists and the majority of the population will want to reach out–many people who are unhappy with the economy, many who are unemployed, many in the bazaari community and many who want relations restored. If there are choices, people take a position. Now, neo-con strategists offer us no choice but confrontation. They receive the same echo back from Tehran. And the rest of us, all of us, all citizens are sitting aside torn from each other by all this politics. How many families do we know that would love to go back and forth, that would love to have stronger connections? How many would like to return to live, or visit, or even invest? Some are doing that now. But, in the lofty corridors of power, the question remains–who should take the first step? Should we make the first step? Or should they make the first step? Should there be pre-conditions; if so, which ones? Now, with this impasse, is recognition going to happen? I don’t think so soon. But I think if it did, it would disrupt the status quo in both countries. You wrote Searching for Hassan after September 11, and obviously you have received hundreds of emails. How do you think your book has inspired people? I was actually stunned by the flood of emotional and heart-felt emails that arrived. 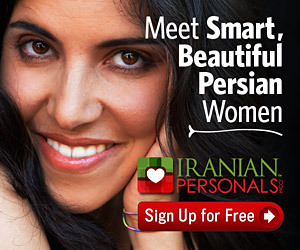 I wrote the book primarily for an American audience to share with them the human face of Iran far beyond the US media. The dark clerics, the dark robes, the word terrorist, these are what everyone perceives when they hear news about Iran. Instead, I wanted to show the humanity and culture that we witnessed when we journeyed across Iran. What really surprised me was the poignant nerve that the book touched in the Iranian American community. Later, I realized that so many of the questions that were inside our heads when we went back to Iran were also felt by the community at large. Many families had been separated. Many families have not been back for twenty years. Many were wondering what happened to those they left behind. Many hadn’t seen Tehran since the revolution. Or their old homes and gardens. They asked themselves all the same questions we had asked. Should I go? Shouldn’t I go? What will we find? Will it be safe? Will anyone follow us? Will memories survive all the change? There was a lot of identification with the story when people read about humanity rather than politics. In this literary journey, I wrote about the rich history, the cultural legacy of the Persian Empire, the beautiful architecture of Isfahan. I wrote about the breakthroughs of Iranian civilization, the high poetry of Hafez and Maulana, the gardens of Shiraz, the influence of Persian classical music. Above all, I tried to weave these points into the story–how Western culture has benefited from what happened in the plateau of Iran over 3000 years. I think this also registered with the younger Iranian American generation that haven’t been back or are thinking of going back. Many told me that after reading Searching for Hassan, they decided to return. One was this friend in Tehrangeles (referring to Los Angeles’ large Iranian community) who told me, “I read your book when I went back. I was so worried because I’m Jewish and I brought my movie camera along. First, I filmed my family and friends and asked them questions. Then I began filming the taxi drivers, people in the markets and the streets. Finally, I had a collection of interviews and I decided to make a film.” I asked him what he was going to name it. ‘These Are My People,’ he said. This is only one example of the inspiration that happens hen you return. And, everyone who has gone back has made some kind of human connection. Of course, we all know the other side of the story: the tragedies, the deaths, the losses, the upheaval, the deep sadness. We all know the full story of the Revolution and the war. Yes, we have heard it all over the years. But, wherever there is darkness, we have to also search for the light. That is what I tried to focus on — the light of an eternal Iran. Perhaps this is why the book resonated so deeply with many readers. You were a youngster when you were in Iran and then you returned as an adult. What did you see different in the atmosphere that had changed? Especially in regards to people’s frustrations, lack of hope, not being able to see a better future for themselves? Did you see that when you were walking in the streets? Our journey was special because we went there just after President Khatami had been first elected in 1997. We arrived there at a unique moment when people were very excited and hopeful. Yes, there was a ray of hope. Journalists described the mood as “Tehran Spring.” Many told us Khatami might stand up against the hardliners and really begin a reform process. All the young kids said, “Maybe he will be our Gorbachev, but we hope he doesn’t become our JFK.” There was open criticism of the government everywhere, in the streets, newspapers, markets and taxis; many jokes filled the conversations. Of course, this was followed by a big crackdown and broad disillusion by the failure of President Khatami’s reform program. But people were very outspoken then, and also two years later when I returned with my wife to visit the Ghasemis again. It seemed as if people had lost a fear that I had been so familiar with when I grew up in Tehran years ago. I remember then that whenever the word Shah was spoken, people would stop talking. It was simply a taboo. In today’s Iran, the young generation remains outspoken and very critical. They are equipped with intelligence and courage, and one realizes rather quickly that the future belongs to them. Also, we were met with something rather stunning when we visited the Ghasemi family. Hassan and Fatima had never gone to school. At the age of 6, they began working. He was a shepherd and Fatima was a young rug weaver. These are people who never had time or the luxury to go to school. But, one Iranian obsession has always been how do I educate my children so that they will have a better life? Well, now all Hassan’s children are university educated. Their son, Mehdi, has a master’s in electrical engineering from Tehran University and is running all the telecommunications at Iran’s largest steel plant in Isfahan. Their daughter Maryam, is a graduate from Isfahan University and is a teacher who lectures regularly to two or three hundred women at a time. Their other son, Ali, is a commander in the navy. So, when we finally met again, as contemporaries, we met as equals in every sense. That was something that we didn’t expect at all. So, whenever someone asks me about the future of Iran, I tell them look at the new generation. They hold the key and the answers for the future. Obviously, this younger generation will shape a more representative government to respond to the will and desires of the people. And remember that although this is a country that is cut off from the rest of the world, Stanford University’s Dean of Electrical Engineering said that the finest undergraduate university for electrical engineering on earth is Sharif University in Tehran. This is the information that the American public should know. All hi-tech engineers know this fact. But, the people in Washington should know that this generation in Iran is as highly educated, potent and politically aware of any I have seen in the world. Look around America you see oceans of young, glazed-eyed shoppers and only a few kids under 25 who can express a politically mature thought. They don’t seem to have care. There is a profound emptiness and I’m very disappointed about their lack of awareness. Contrast this with talking to 16-year-olds in Tehran who were passionately discussing Jeffersonian democracy, de Toqueville, keeping corruption out of politics, etc. And they are internet-savvy, not only plugged into their computers, they are busy writing blogs. I was shocked to find out that after English, the second most used blogging language is Farsi. Who would have imagined that? When I arrived in 1998, there were only two internet cafes in all of Tehran. What a change! You said there is a good chance that your book will be made into a film. When and how? At the moment there is a strong possibility of a co-production that would be filmed in Iran, hopefully with an Iranian director next year. But, I want to keep this confidential for the moment. Such a film would give American audiences their first chance to see Takht-e Jamshid (Persepolis), the turquoise domes of Isfahan, the gardens of Shiraz, all the great wonders of the country during the search for Hassan. A few years ago when I spoke with Lee Hamilton–the director of the Wilson Center in Washington, who once chaired the House Foreign Relations–he said, I want you to come to Washington and speak here because when the word Iran is mentioned on Capital Hill, everybody goes hysterical, there’s no debate, just noise. In times like this, only personal stories like yours can point the way. I think there is a consensus among the Iranian American community is that culture unites, and politics divides. People-to-people contacts are what are needed. And everybody welcomes it. If I can talk to a hundred people here who have never imagined a different impression of Iran, it will be a positive step. Sometimes when I’m asked, “You mean they’re just like us?” I can’t believe we’ve been reduced to that level. But, if I can change these perceptions, I know Hassan and my mother would be greatly pleased. How can we humanize the picture? Give different faces and shed some light. Of course, we share the same values of friendship and family. And we can meet on that universal field of humanity. To my Americans friends I say, if you want to know more about Iran, go see some of the award-winning Iranian films. These films convey a sense of intimacy that brings viewers face to face with ordinary life. They brim with humanity and connect at the level of the emotions. These directors are Iran’s unappointed ambassadors. If you had a message to give to GW Bush and Khamenei what would you say to them? Read these poets, I would say, then sit back in your chair before you make the next decision with the great Molana by your side as your guide! When I asked Ward what his next project was, he said: “My wife, Idanna and I have produced a documentary film, Eugenia of Patagonia, about a heroic woman pioneer who, against all odds, founded a town at the end of the world set in southern Chile with 30 orphan children. It is a story of idealism, driven by ecological vision to create a new humanity. It was just premiered at the Festival des Femmes in Paris two weeks ago.” He is also finishing a book set in Naples about a Caravaggio painting and its caretaker. Ward said he is in constant contact with Hassan Ghassemi. Hassan excitedly told him that he had also finished writing his own story. Terence would like to help him publish it in Iran. Not a place for doubt and Sorrow.